Doctor’s Choice™ Women / 90 tabs - Nature's Way®. 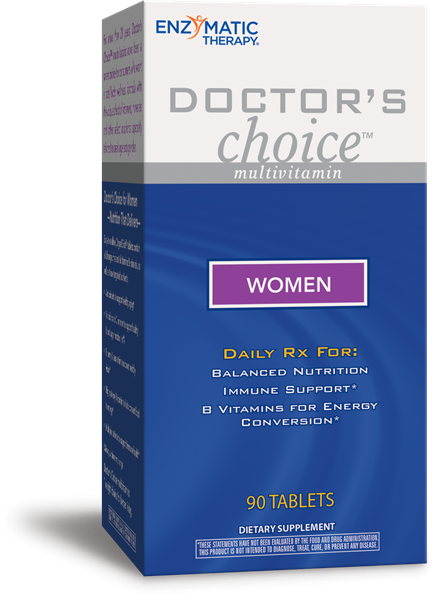 Why take Doctor's Choice™ Women? It's a multivitamin with targeted support for the nutritional needs of women. Caution: If pregnant, nursing, have a blood clotting disorder, or taking any medications, consult a healthcare professional before use. People with diabetes should monitor blood glucose levels regularly. How much caffeine does Doctor's Choice Women contain? Doctor's Choice Women contains a minute amount of caffeine, derived from the green tea leaf extract. The total daily amount of caffeine is only 1 milligram. For comparison, the average amount of caffeine in one cup of coffee ranges between 80 to 115 milligrams, depending on the method of brewing and type of coffee bean used.